This volume is a worthy addition to the series as a whole, though the paperback-only availability may mean some collectors/researchers may wish to buy two copies. The other three volumes were hardcover, though the first two covering the New England states and New York are of more solid construction than the third covering the mid-Atlantic states. Civil War researchers and writers whose topics include Union colonels covering these three states will want to own this book. 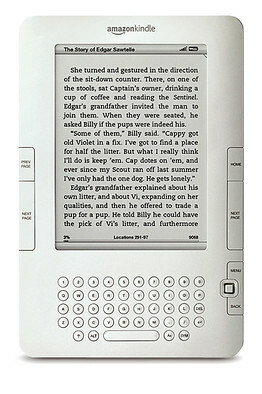 McFarland typically charges exorbitant prices for paperback books, though this is one book where the price is fully worth what you get in return. In his review of Colonels in Blue, Drew Wagenhoffer makes the valid point that these colonels commanded regiments from the three states in question, but did not necessarily hail from these states. Keep this in mind if you want to purchase this book to look for specific individuals. 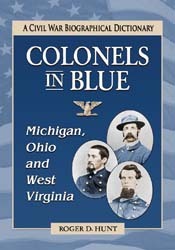 This biographical dictionary catalogs the Union army colonels who commanded regiments from Michigan, Ohio, and West Virginia. 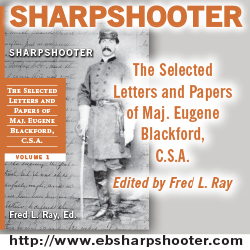 Entries are arranged first by state and then by regiment, and include full biographical information concentrating on each colonel’s military service. Many of the colonels covered herein never rose above that rank and have therefore received very little scholarly attention prior to this work. Roger D. Hunt, a retired software engineer, has published works on Union colonels from the New England states, New York, and Pennsylvania and the Mid-Atlantic states. He lives in Gettysburg, Pennsylvania. Note: The book reviewed here was received gratis by the reviewer.